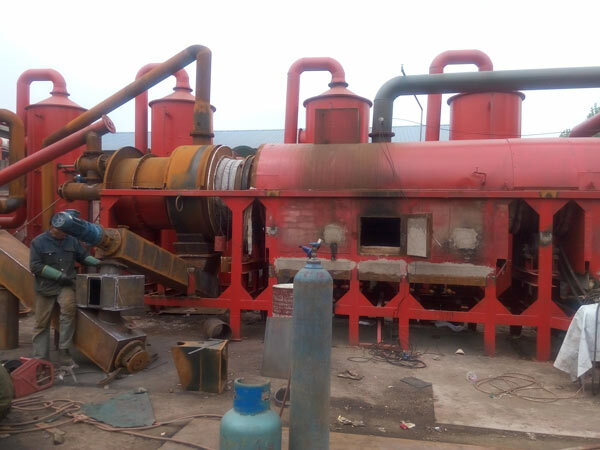 Industrial waste carbonization furnace is used to change the industrial waste into anhydrous organic carbon of light weight through temperature pyrolyzing. The machine also can process other biomass materials, like bamboo shavings, sawdust, palm shell, and other waste materials. There are automatic feeder, automatic discharging and combustion system. So the industrial waste carbonizing plant can achieve continuous production process, one side to feed while one side discharging. The smoke can be piped into the gas purification system, and then becomes the combustible gas. 4. There is a explosion hole ,so the machine has good security. 1. No smoking, no pollution. 2. Short carbonization and cooling time. 3. High-quality finished products and energy saving. 4. Easy to operate and maintenance. Agriculture: It can be used to improve the soil quality. 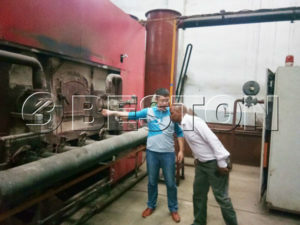 Daily Life: The biomass carbon has a higher carbon content, and it will produce no pollution to the environment, so the end product is widely used in BBQ and other food industry.